MPAA RATING: PG for some thematic elements. If you enjoyed God’s Not Dead, you will love God’s Not Dead 2. In fact, I may have enjoyed the second one more than the first! Brooke is a student at Dr. Martin Luther King High School who is grieving the death of her brother and she seeks advice and wisdom from her AP History teacher, Grace. A few days later, during a classroom discussion on Dr King and Gandhi, Brooke poses a question paralleling the teachings of those civil rights leaders with the teachings of Jesus. Ms. Wesley’s response becomes a heated debate, not just for the school, but for the entire town. We also follow Martin’s search for Truth and the cost the often accompanies the choice to follow Christ, and a few other subpolts that intersect. There were some great cameos in the movie, too: Pat Boone, Sadie Robertson, J Warner Wallace and Lee Strobel! And, though I don’t want to give away the ending — no spoilers here — I will say that Tom Endler’s passionate speech in the courtroom is moving and well-delivered. Watching this film with students in your youth group, or your own children, will create a great starting point for discussions on the importance of standing firm in our beliefs and many of the common fears that often keep us from boldly proclaiming our faith in Jesus. 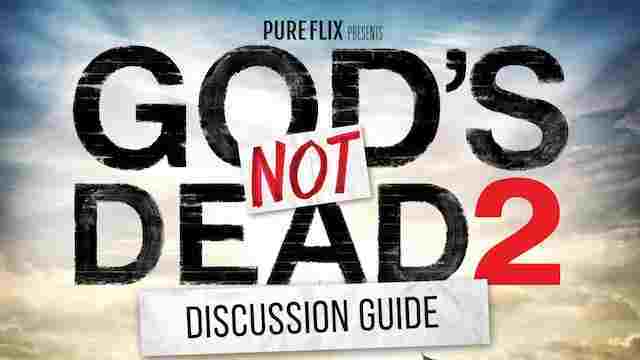 If you’re looking for more questions about the themes found in God’s Not Dead 2, check out the FREE Movie Discussion Guide. In short, go see God’s Not Dead 2 this week in theaters. 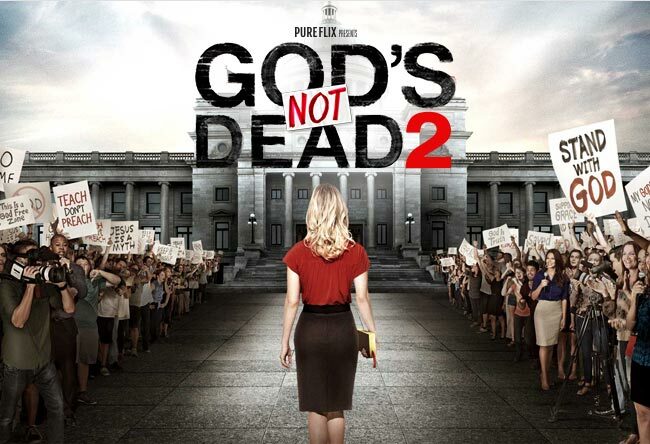 As always, the better a film like this performs at the box office carries a direct connection to seeing more family-friendly and movies of faith in theaters.We can’t wait to hear of the conversations this creates in families, schools, and churches … and the students who take on the challenge to stand up for their faith in all areas of their lives. Don’t miss it—in theaters this Friday! PS: Be sure to stay after the credits, too!